I agree with you completely…..there is a huge place in our education system for gamification and like you said the VR can help with problem-solving, a deeper level of learning and and gamification for our varied leaner’s needs. …….I just hope that the Ministry sets aside some money to support these initiatives! 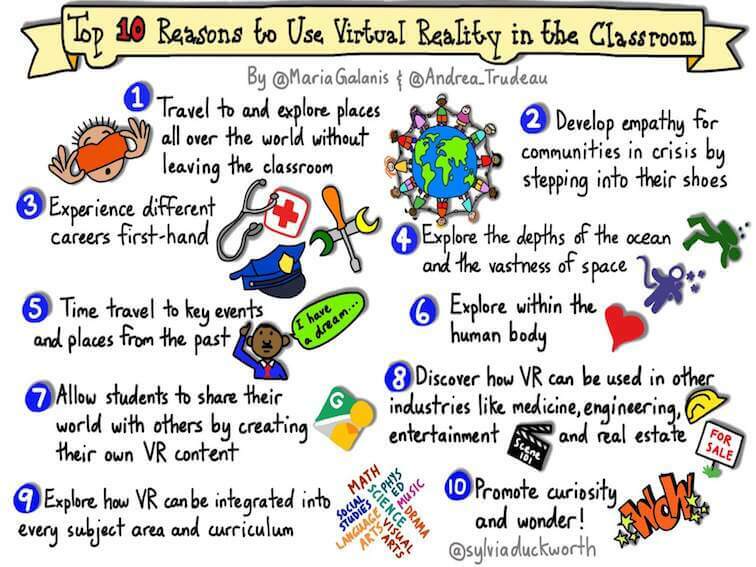 This is something that I have never specifically tried in the classroom and I would love to see how this works for those school buildings who do have access to VR systems. The most I have come close to is the Cardboard Google version. Thanks for sharing your ideas Carla! Hi Carla, I also agree that VR is one part of technology that may be very useful in education and the experience you receive when using it is very engaging and truly surreal. I also love project based learning, as I am a woodshop teacher, but building actual projects is costly. So to build projects (like the bridges you speak of), or explore mars, or operate heavy equipment virtually would be of huge educational potential. Students could learn critical labour skills, understand the vastness of space or explore molecules in a virtual scenario, much like Ms. Frizzle does with her “Magic School Bus”, the possibilities are very exciting! Excellent work in in striving to implement this in the classroom. I teach a Media 9 course and attempt to have students look critically at technology and show this somewhat ‘dark’ video to display the potential future of VR (https://www.youtube.com/watch?v=UXX0TRtg5Vk) . I’m absolutely excited to see where VR takes us! I’ve been reading articles about VR and Human Resource development. Bennett (2014) “argues that HRD must adopt new skills and develop explanatory models for growing organizational learning capacity in virtual work”. 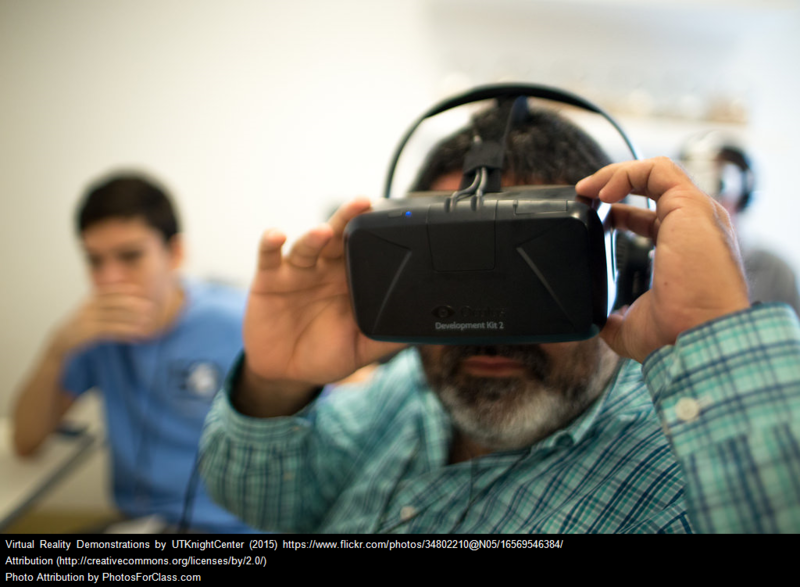 Educators continue to work towards culturally relevant pedagogy, surprisingly to some, VR and technology based learning can be considered culturally relevant approaches to learning. The realistic nature of Virtual Environments make them limitless to what they can do for learning. While this technology just like others can create a digital divide, they can bring education to remote areas and perhaps meet the needs of particular learning styles. If VR developers are able to individualize the learning experience and provide hardware/software and support at reasonable rates, VR will move educational capacities to an all time new level. I’m just really hopeful that training and development is not left to teacher weekends and evenings as technology has required in the past! Carla, it is evident that you are one of those dedicated and hard working teachers that most likely is using your time to continue to develop and embrace technology – lets hope one day, your development is incorporated into the work day!! Great post! Dylan – I love the idea of showing students the ‘dark’ video (cool vid by the way) and the potential use the VR does hold. I really don’t think we have even begun to unpack the potential that VR can have in the classroom. And I could not agree with you more about the opportunities VR could give to our students to learn and practice critical labor skills in a safe and controlled environment.